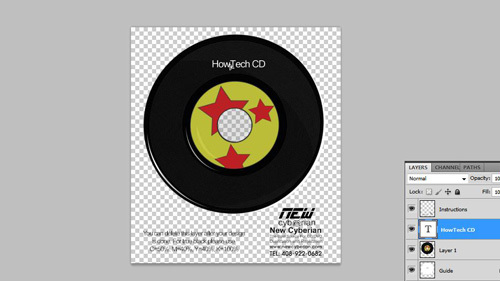 In this tutorial you are going to learn an easy way to create a cd label in Photoshop. The first thing you need to do is download a template for you CD. Visit the site “www.newcyberian.com/download/regularsize.zip” and wait for the file to download. 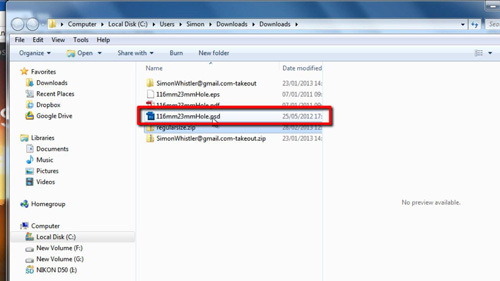 Navigate to the download folder and extract the files in the folder. Open the only Photoshop document in the folder called “116mm23mmHole”. This is the template that we are going to be using for our cover. You are also going to need an image that you are going to use as your CD cover. 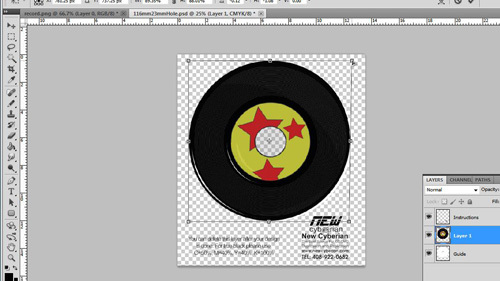 Here we are giving it a retro look by printing the image of a record onto the disk. You can see that we have an image of a record already loaded into Photoshop. Navigate to the template and click on “Image” then click “Image Size”. You will see that the resolution of the image is 1600×1800, so we need to resize our cover image to be somewhere around this. Click “OK” and navigate to the cover image and click “Image” then “Image Size”. We can see that our image is about a third of the size, so we want to increase this, enter a new width of 1600 – the size of the template. 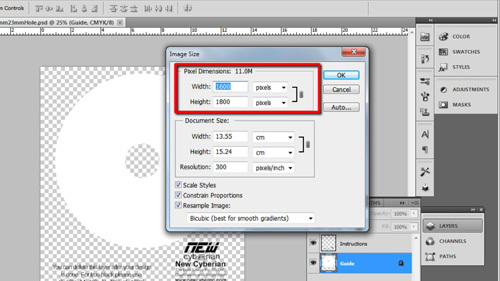 Make sure that the height box also automatically changes to match the new width resolution. Click “OK”. Click the move tool on the tool bar in the left and click on the cover image and drag it to the template tab at the top. Drop it into the template image and continue to use the move tool to position and resize the image so that it fits on the CD cover. You are probably going to want to add some text to your cover, so click on the text tool on the toolbar. You will be asked whether you want to apply the transformation, click “Apply”. Select a font from the menu at the top, a size (around 18 works well) and a color (here we are going for white). Enter the text and use the move tool again to position it on the CD. 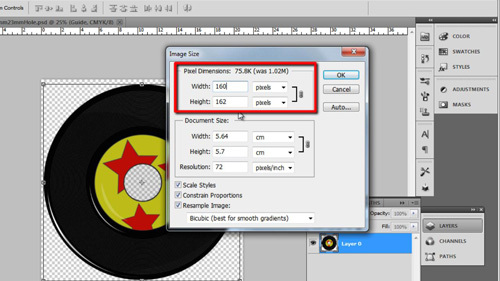 That is the simple process to follow for creating a cd label in Photoshop.